I've been reading forums for a long time, debating if I wanted to do my own HID install. I finally pulled the plug after reading up on some DDM Tuning lights/kit and I can say it's all kinds of easy. Total time about 45 minutes. Plug and play, simple. I've never done an HID swap, nor am I electrically inclined. However, you CAN'T GET IT WRONG. Ordered the 35W/5k setup and winged it (with help from people here (thanks!)). Two things made it last as long as 45 minutes is because I couldn't access the driver's side light without pulling the inner wheel-well plastic and I plugged in the male end to the female end, closest to the bulb, backwards (which made it not light up; once I switched it...voila!). That probably would've brought overall install time to about 30 minutes. Pull off inner wheel-well plastic to access driver's side light (I didn't take a picture because it's in the manual). I only pulled out 6 quick fasteners. Step 2: Reach up into bay where lights are and grab the OEM bulb, turn it (left or right about 90 degrees) and pull it out. Step 5: zip tie ballasts and wiring to inside of body panels. As long as the ballasts and hardware is below where the fixed rubber stoppers contact the hood, then you're good. That's basically it. Just repeat on passenger's side (except there's no need to make access through wheel-well. I'm 6"3' and my hands were able to fit in the voids available next to the washer fluid). If any of this is unclear, please let me know. 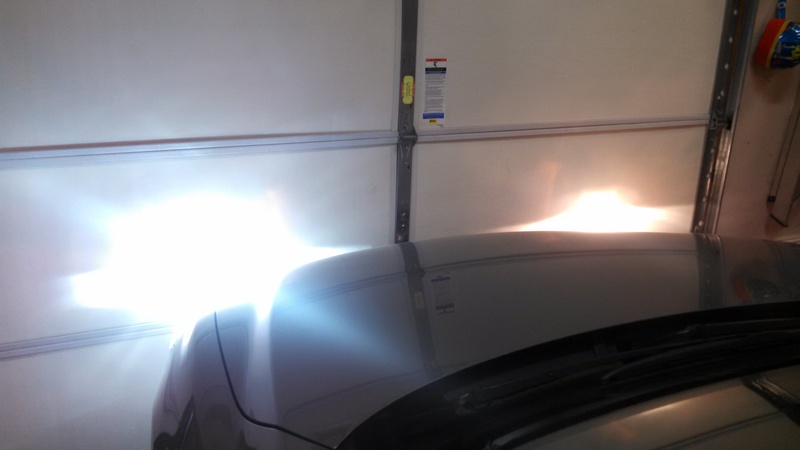 Also, I'm only going to write that this works with my specific HID kit (35W5k). It probably applies to other DDM kits, but I can only guarantee this works with my type kit. I ordered the DDM 55x HID kit for my 2006 Mazda3. The day after it arrived I caved and bought my 2015 Mazda6 Touring. So, I read the exchange litterature on DDM's website and started the process. Your post with the directions and immages is being very helpful. I really appreciate it. After reading what you said about the brightness of the 35x I am thinking about changing my order to the 35x bulb. Is the 55x annoyingly bright? anyway you can provide a link to which one you picked? When I checked the site you have to pick Wattage, Bulb Type and Bulb Color. I got the wattage and bulb color but which bulb type did you go for? Here is what I ordered for the 2006 Mazda3. I will send that back tomorrow. Then I will do some research on 35 and 55w clear HID bulbs and order for the 6. I didn't learn anything about aftermarket lights before I ordered so I can't tell you much about what I currently have. Because I didn't want to make a totally uninformed decision I called and spoke/ordered over the phone. Here is the receipt info. Anything you can teach me or recommend will be put to good use. Last edited by Jared Tampa Bay; 09-02-2014 at 11:07 PM. I would steer clear of the 55watt ballasts. 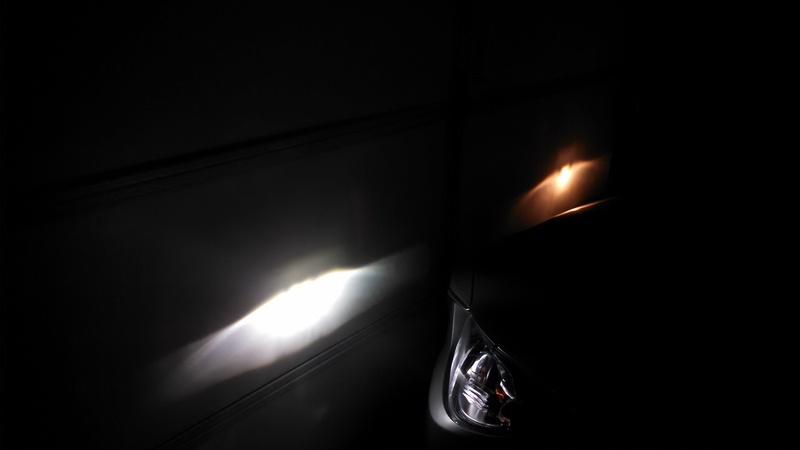 Aftermarket bulbs run hotter than oem bulbs, and they run even hotter at 55w compared to 35w. its a real good way to burn your projector and at that point, your headlights are pretty much fried. Last edited by Roger69; 12-03-2014 at 03:10 PM. Don't forget that 55w will also flush out most of the color if you want a nice blue tint in the headlights. And my biggest reason for never wanting 55w is knowing that 100% of oncoming traffic will hate your guts. Thanks for the writeup, @snoWhite - Adding it to my 3rd gen 1 stop shop. i'm just wondering if you had to buy any extra harnesses? and the bulb is the H11 right? i'm wanting to do the same thing as soon as possible, just need this info to order it. good job on the install and thanks for your post! Have we also made sure that the folks in this thread installing HIDs are doing it properly? I can't stand when people just throw in HIDs and call it a day. Only to take it out for a spin and blind people because they aren't aimed properly or they didnt retrofit proper projectors that are meant for HID bulbs. 05 6i, Glacier Silver - Traded!